Recall that the L-group is dead, and no combination of hanes can help the L-group live. 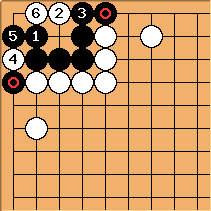 This is a sequence given on the L-group page. If , then the combination of and kills. Note that the order of and can be interchanged. 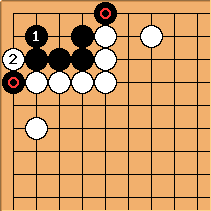 In other words, can play the hane first as shown in this diagram to kill. When there are the stones, then and still kills. The question is: is the order of and interchangable? 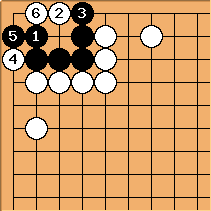 That is, can White play to kill?